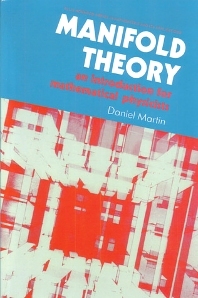 This account of basic manifold theory and global analysis, based on senior undergraduate and post-graduate courses at Glasgow University for students and researchers in theoretical physics, has been proven over many years. The treatment is rigorous yet less condensed than in books written primarily for pure mathematicians. Prerequisites include knowledge of basic linear algebra and topology. Topology is included in two appendices because many courses on mathematics for physics students do not include this subject. Vector spaces; Tensor algebra; Differential manifolds; Vector and tensor fields on a manifold; Exterior differential forms; Differentiation on a manifold; Pseudo-Riemannian and Riemannian manifolds; Symplectic manifolds; Lie groups; Integration on a manifold; Fibre bundles; Complex linear algebra and almost complex manifolds.